If one of your resolutions for 2016 is to make the most of yourself, you may want a helping hand when morale or energy starts to lag. I recommend you look into using nootropics, natural or synthetic brain boosters that improve your cognitive ability. This is not something out of James Bond; these supplements really do exist already. Nootropics are a rapidly expanding market, and there are a lot of established as well as up-and-coming and brand new products to choose from. So which is best? Here is my personal recommendation for the Best Nootropic Supplements to Buy in 2016, based on personal experience and research, as well as a brief introduction to the topic in case you’re new to the subject. If you know all you need or want to know about nootropics, feel free to jump straight to my recommendations below. 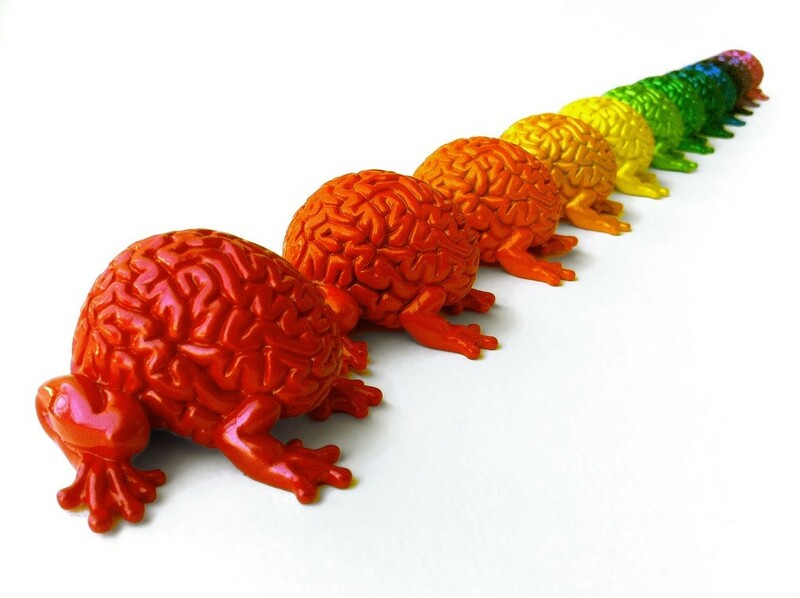 What Makes the Best Nootropic Supplement? There are several things to look for when choosing the best nootropic stack supplement on the market. You want the best ingredients in the right combination, for one thing. My special page on Natural Nootropics That WORK highlights the natural ingredients I think you should look for in a nootropic supplement. What’s more, I also discuss the best versions of those ingredients as well. N-Acetyl-L-Tyrosine instead of plain old L-Tyrosine, for instance, because it’s much more effective for brain health, or Cognizin®, a patented form of citicoline, shown to be effective in human trials. You would do well to look for supplements that stack some or all of these quality ingredients together. A great nootropic supplement also combines the right ingredients together in the best combination. Rhodiola rosea and Bacopa Monnieri, for instance, help to reduce stress and fatigue and combine well, citicoline boosts the effectiveness of other nootropics, while L-Theanine reduces the impact of negative side effects from caffeine. The very definition of nootropics states that in order to qualify for the title a substance must be low in toxicity and carry few or no side-effects. You’ll see many stimulants on the market promising to boost your brain power or improve memory loss, but these all tend to have side-effects, often pretty nasty ones as well. As such, these are NOT nootropics. Most experts consider genuine nootropics to be extremely safe. In fact, they are thought to be some of the safest supplements and brain boosters available to buy today. After all, many are believed to help prevent or slow age-related cognitive decline, which is why they are being investigated for their potential in tackling diseases such as Parkinson’s and Alzheimer’s. Others offer anti-oxidant benefits or can help to keep our brains in tip top shape. Nootropics have few or no known interactions with other drugs and are considered non-addictive in the short term. The longer term is up for question, however. There has been little if any research carried out on the safety of nootropics in the longer term. Likewise, much of the research done on these supplements so far has been carried out on animals, and not humans. (There is little incentive for big pharma to spend millions on human trials when nootropics are currently unregulated). There may also be some slight side-effects experienced when first using certain nootropics, or if using them in the incorrect dosages. More on Are Nootropics Safe? The best nootropic stacks that you can buy on the market today are those that can demonstrate effectiveness, so look for positive user reviews and independent reviews from ‘nootropic geeks’ such as myself. When I say effectiveness, there’s one thing I should clarify. While nootropics can improve various aspects of your cognitive ability, ie, focus and concentration among others, they CANNOT make you smarter. They don’t influence your IQ or make you cleverer. 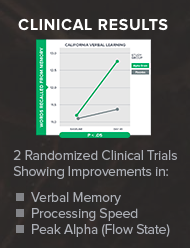 What nootropics CAN do is to help you use your God given cognitive abilities more effectively. Most of them do this by boosting the efficiency of the neurotransmitters in your brain. This in turns helps to increase the supply of hormones, enzymes or the neurotransmitters themselves that your brain uses to function. Neurotransmitters help the brain to communicate effectively with all of its different parts, and improved communication means better reactions and efficiency. I’ve talked a lot about natural nootropics already, but they aren’t the only nootropics around. Many brain boosters are synthetic and made in a laboratory, such as the racetam family of drugs. Piracetam was the very first nootropic discovered, and shares the key components of nootropics in that it actively promotes brain health, boosts mental functioning and is also low in toxicity. I prefer natural nootropics, but the racetams are widely accepted and used as healthy nootropics as well. What are Racetams and How Do They Work? These should NOT be confused with ‘smart drugs’, however. ‘Smart drugs’ are usually intended for specific medicinal use (ie, for ADHD) that non-sufferers then use as cognitive enhancers and aren’t strict nootropics, but are often confused for them. Many of these are prescription-only or controlled drugs. As a consequence, they may have significant side-effects. As I said, I’m very choosy about what I put in my body, and only recommend natural nootropic supplement stacks. You’ll see that my top two nootropic stack picks for 2016 are completely natural. Here comes the bit you’ve all been waiting for… my choice for the best nootropic supplement stacks of 2016. Based on my research and personal experience, I want to recommend two all-natural nootropic stacks that work well and do what they promise. These are the best two stacks on the market in 2016… and one of them is noticeably more effective than the other. I’ve done a lot of research into Mind Lab Pro and it firmly deserves its place as the clear market leader and my favourite nootropic supplement of 2016. One of the most advanced nootropic supplements yet, all 11 of Mind Lab Pro’s ingredients are included in clinically effective doses and every single one of them is a strong and effective natural nootropic. 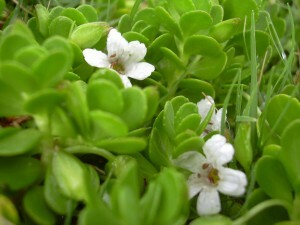 From antioxidants such as Bacopa Monnieri to substances which modulate and promote neurotransmitters in the brain such as L-Theanine and N-Acetyl-L-Tyrosine, all are included in this nootropic stack. Not to forget vitamin B6 which aids long-term memory, Citicoline which energises the brain, and lion’s mane, which is beneficial in regenerating neurons. The supplement also includes Rhodiola Rosea which can boost performance under stress, Vinpocetine which increases blood flow, Pterostilbene which fights brain cell ageing, Phosphatidylserine to build new neurons and B12 to protect the brain. Mind Lab Pro is completely transparent, everything you need to know, including dosages, is right there on the label. No hiding behind ‘proprietary blends’ as many competitors do. Such proprietary blends make me nervous; it always seems like an excuse to hide exact dosages and therefore deny potential customers the chance to assess whether the supplement will work beforehand or not. Hint – if they have to hide something, chances are it might not! I’m pleased to say that Mind Lab Pro does not go in for such nonsense. The other thing that I really like about Mind Lab Pro is that it uses premium versions of its ingredients, such as Citicoline, N-Acetyl-L-Tyrosine (the best form of L-Tyrosine for brain health) and Bacopa monnieri, standardised to 45% (needs to be 40% to be effective). To me that demonstrates that the manufacturers behind Mind Lab Pro, Opti Nutra, really care about creating the best product possible. Oh, and did I forget to mention that it works?! I mean, it really works. I can offer personal testimony to that. 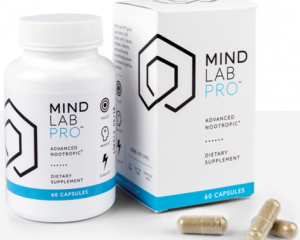 Mind Lab Pro promises to tackle brain fog, boost mental function and act as a universal nootropic, adapting to provide whatever your brain needs on a daily basis. When I take it, I notice a sharper focus; my motivation is even more honed than it already is (I don’t want to sound immodest, but I’d classify myself as a go-getter to begin with), and my verbal memory is excellent. The right words are always on the tip of my tongue. I can think faster on my feet and any brain fog is banished. So better ingredients, better quality and transparency, which all adds up to better value in my eyes… there’s no wonder Mind Lab Pro is the market leader and my favourite choice for the Best Nootropic Supplement of 2016. Alpha BRAIN is another nootropic supplement that deserves a mention for 2016, primarily because it contains many of the same ingredients and nutrients as Mind Lab Pro. I’m talking about L-Theanine, L-Tyrosine, Vinpocetine, Pterostilbene, vitamin B6, Bacopa Monnieri and Huperzine A. As such, Alpha BRAIN works. 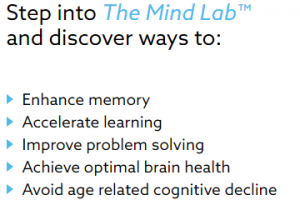 When taking Alpha BRAIN, my focus, concentration, motivation and verbal memory all improve, just not as much as with Mind Lab Pro, one reason why Alpha BRAIN comes second in my list. There’s another reason it didn’t win my title of Best Nootropic Supplement 2016 and that’s because of its secrecy. 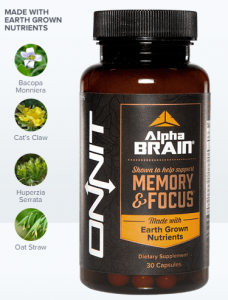 The one thing I don’t like about Alpha BRAIN is that exact dosages of the ingredients are hidden in not one, not two but THREE proprietary blends. The manufacturers Onnit reveal the total dosage of each blend, but don’t let us know the exact make-up of the blends, or how much emphasis is given to which ingredients. So how do we know how much Bacopa, Huperzine A or Alpha GPC is included in the Onnit © Focus Blend, for instance? We know they total 240mg together, but which takes priority? There is no way to know. The same goes for the other two blends. To me this is style over substance… wanting to make the product sound exciting by including ‘’secret’ proprietary blends. It’s a shame as well, because this product does actually work, so there’s no need to hide the information. There is also the matter of the ‘even more secretive’ extra ingredient, AC-11, a form of the Cat’s Claw herb. Alpha BRAIN places a lot of emphasis on this additional nutrient, but to date, very little research is available on it. In short, effectiveness and the overall ingredients list earns Alpha BRAIN a place on my extremely choosy Nootropics for 2016 list, but its secretiveness means it can only ever be second place to the much more transparent Mind Lab Pro. Hi, have you done a review on the lumunol? I haven’t done a review on Lumunol yet, but I can add it to the future list. Have you used it? Do you think it works? Hi Geek. My daughter suffers from a mild case of neurofibromatosis type 1. her mother was also a heavy drinker during pregnancy. My daughter is 6 and really struggles with literacy. numeracy. and sequential memory tasks e.g the days of the week in order. Im considering trying Choline but would something like. Mind Lab Pro b better. What do you think about the Formula Focus? 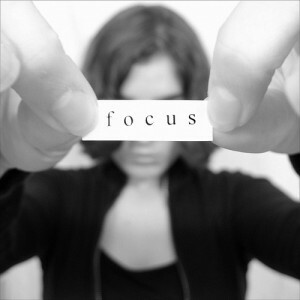 Do you mean Focus Formula? I haven’t reviewed this one in depth, so I can’t give a definitive answer yet. What I have heard, however, is that while it contains some pretty good nootropic ingredients, they *may* not be in adequate dosages to be effective. But like I say, it’s not a product that I am personally familiar with at this stage, so I don’t want to criticise it unduly. I will add it to the list! Nice to see a review focusing on the more natural nootropics. 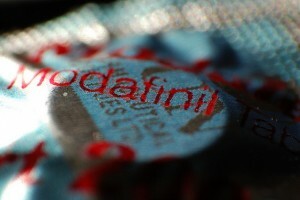 Seems like most reviews focus on modafinil, racetam, etc. Thanks!